Home / Bank Coaching Nagpur / Bank Coaching Videos / Bank PO Coaching Nagpur / best book for bank Exams / Education / IBPS Clerk Study Material / IBPS PO Coaching Nagpur / How to Prepare Quantitative Aptitude Section for IBPS PO Exam 2019? How to Prepare Quantitative Aptitude Section for IBPS PO Exam 2019? In IBPS PO exam 2019, every subject has its own importance but Quantitative Aptitude tests your analytical as well as logical skills. This section is the most difficult yet scoring section and is often referred to as “deciding factor” in the final selection of the candidates. In both IBPS PO Prelims and IBPS PO Mains, this section has garnered significance and it is first important to understand the divisibility of marks and exam pattern of this section. As far as divisibility of marks topic-wise is concerned, every topic has its own significance, so out of allotted 50 marks; candidates can expect 15 questions from Data Interpretation, 5 questions from topics like Data Sufficiency, Number Series, Quadratic Equation, Approximation and around 15 questions from Miscellaneous topics. The candidates who had a strong foothold in Mathematics can score handsomely in this section, if he understands and practice concepts well. Despite the fact that this is a toughest section, it is also the most scoring section where you can score maximum marks, so prepare it well. The first basic step for exam preparation is to know the syllabus by visiting the official website and exam pattern by examining previous year papers. Thereafter, you are supposed to organize a time-table where you can divide the topics of the entire syllabus week-wise. You should always start with important topics (Data Interpretation) which carries maximum importance. The questions based on Data Interpretation can be asked in different form like Numerical form, Tabular form, mixed form or Graphical form, circular graphs or charts. It is believed that this section is very important for every banking exam where questions are mainly asked from two chapters of Arithmetic- Ratios, Percentages and Averages. While solving questions based on Number Series, you are required to learn square and cubes of numbers, learn concepts like Prime Numbers, Basic Arithmetic, and Odd one out, Geometry etc. The question on Number Series will be in a form of series of numbers which are connected to each other. 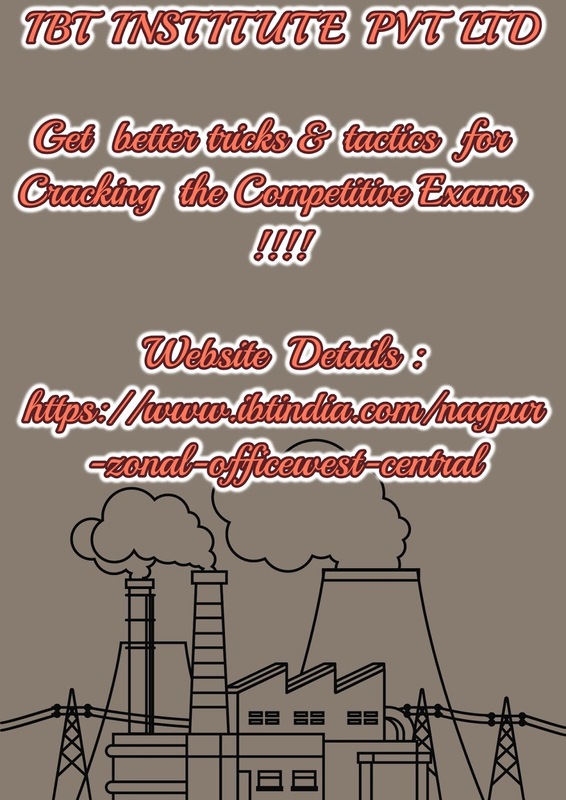 You have to first identify the pattern and then it will be easier for you to solve the question and get better tactics through IBPS PO Coaching Nagpur. The series of numbers can be based on Prime Numbers, Square/Cube Series, and Alternate term series, Multiplication or Division Series etc. The questions based on Simplification/Approximation tests the student’s ability to deal with numbers. Whenever an expression with multiple arithmetic calculations are given then candidates are advised to follow the BODMAS principle for calculating the final solution. You are required to calculate the approximate values and perform operation rather than calculating the exact values in terms of decimals. In Quadratic Equations section, you will be given two equations of two different variables and you will be asked to form relationship between the two. The questions based on this section are very scoring and you should practice them hard and get Best book for bank Exams. From past year experiences, there are around 12 to 15 questions asked from miscellaneous topics and these topics are- Profit and Loss, Probability, Time and Work, Ratio and Proportions, Boats and Streams, Mixtures and Allegations, Simple and Compound Interest. Besides practicing all methods, formulas, shortcuts, tricks, it is important to work hard in applying them while solving the questions. As IBPS PO exam 2019 is a competitive exam, your time management skills and accuracy will be tested. For competent preparations, we advise you to practice maximum mock tests, so that you can develop the desired speed of solving questions correctly.